The stock market is so hot that the Dow just notched a rare nine-day winning streak. It's only the seventh time since 1980 that the benchmark index has climbed that many days in a row, according to the New York Stock Exchange. More impressive, the Dow continues to rewrite the record books, closing on Wednesday at yet another fresh all-time high of 18,595. It's the latest milestone in what has been a wild summer for stocks. Global markets plunged on June 24 after the Brexit referendum in the U.K. spooked investors. But stocks soon raced back emphatically, and just kept rising until they took out the records set in May 2015. 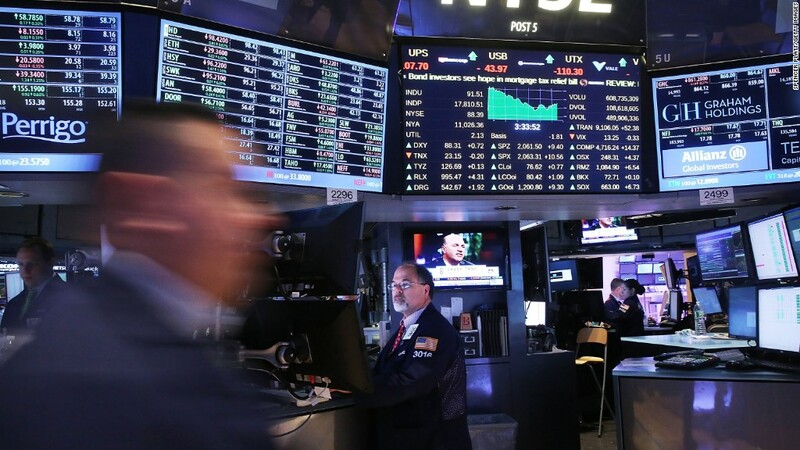 "We're setting new records, but don't forget it took us 14 months to get here," said Art Hogan, chief market strategist at Wunderlich Securities. Some of the biggest winners over the past month include American Airlines (AAL), eBay (EBAY) and Nvidia (NVDA), all of which have soared 15% or more. The big rally has left some worried that stocks are getting too pricey and investors have become overly optimistic. After all, it's not like the U.S. economy is going gangbusters -- Corporate America is mired in an earnings recession. But worries about profits have receded a bit in recent days, thanks to big earnings beats from the likes of Microsoft (MSFT), Morgan Stanley (MS) and United Continental (UAL). None of them sounded the alarm about Brexit. And while the U.S. economy may not be growing robustly, it's in much better shape than the alarming May jobs report suggested. Stocks also continue to benefit from extremely low bond yields. The post-Brexit rush to safe haven government debt has made bonds so expensive that stocks don't look nearly as pricey by comparison. "Low yields are driving money into stocks. There is no other place to go. There is no alternative," said Hogan.